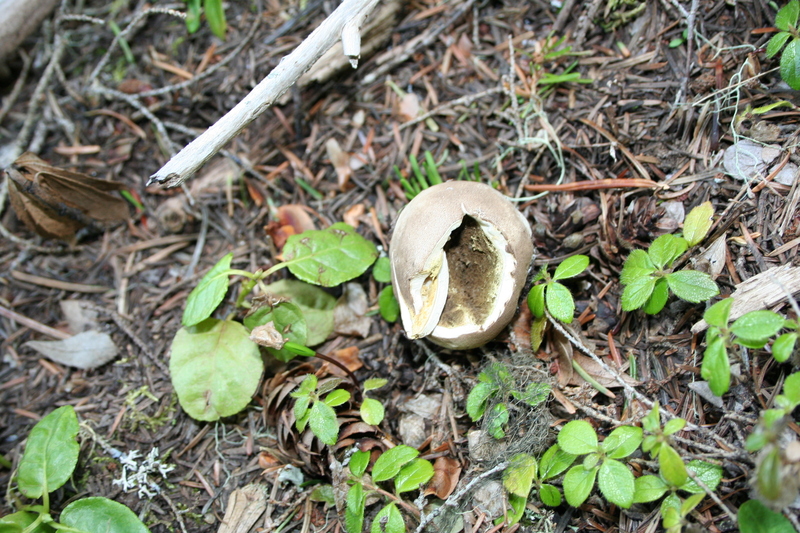 Friday of last week we stopped for a stroll in the woods to search for the elusive wild morel. The wild, yummy morel. There are so many species of morels! 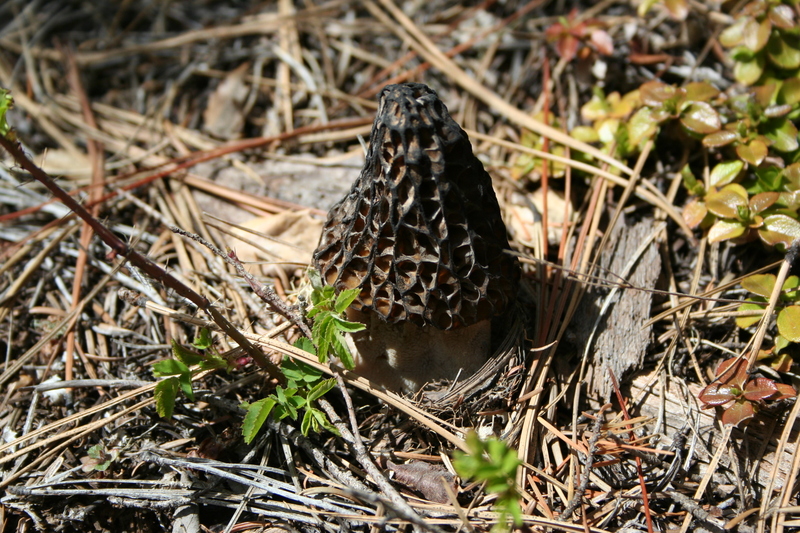 It is not difficult to know a morel from any other mushroom in the wild: the only other mushroom that begins to resemble a morel is the false morel. 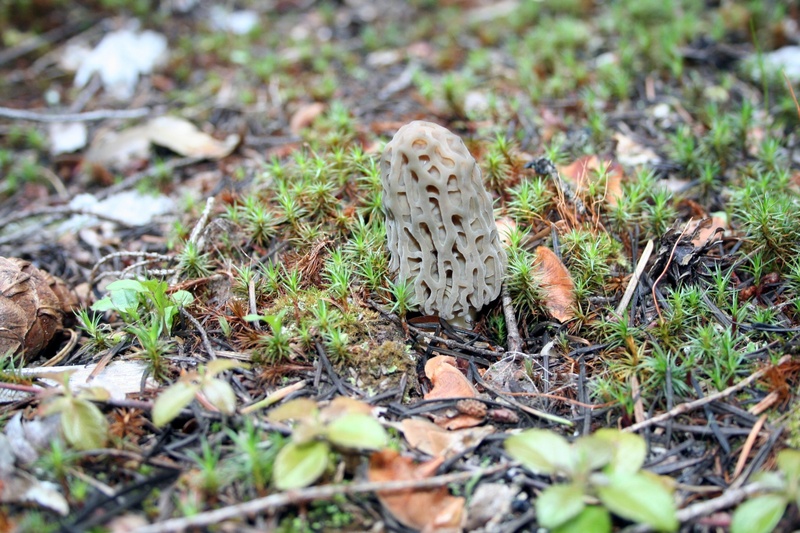 I have heard many theories about where morels grow best. They come up the spring after a fire, they come up around last year’s burn piles in the forest (where logging crews have burned brush), they come up around pine trees and they like the north slopes. Folks who pick them carefully guard their picking sites with secrecy (but I can tell you that we saw several other cars out in the woods where we were looking so no place is truly secret if a morel hunter is out in the woods). We did gather about a half gallon of very fresh ‘shrooms, a sign that we were spot on for the timing of our hunt and maybe a week early. While I walked around with my eyes on the ground, I decided to snap some other photos as well (of course). 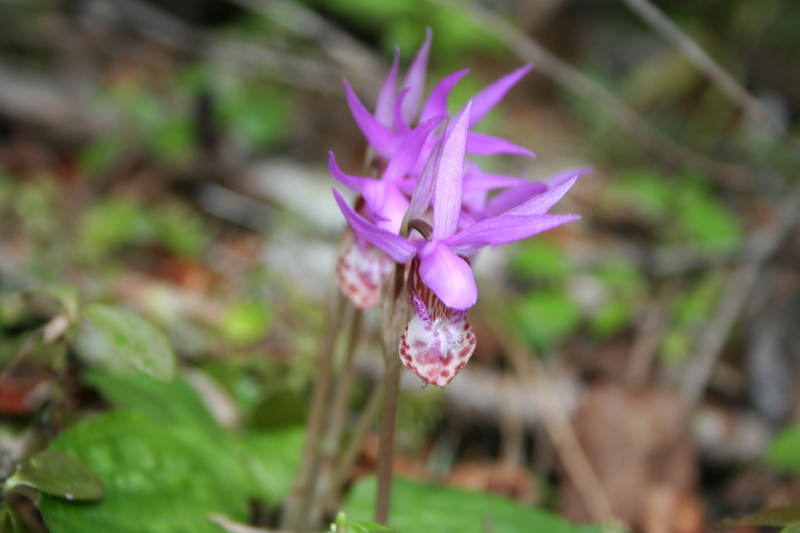 A row of Calypso bulbosa (Fairy Slippers) in bloom. 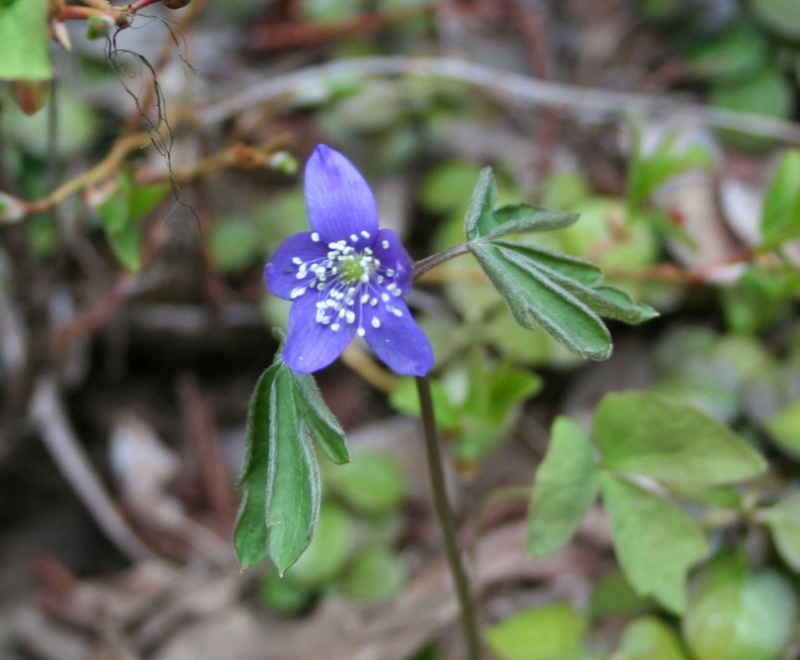 The delicate anenome oregana (Blue Windflower) could be seen blooming throughout the woods. 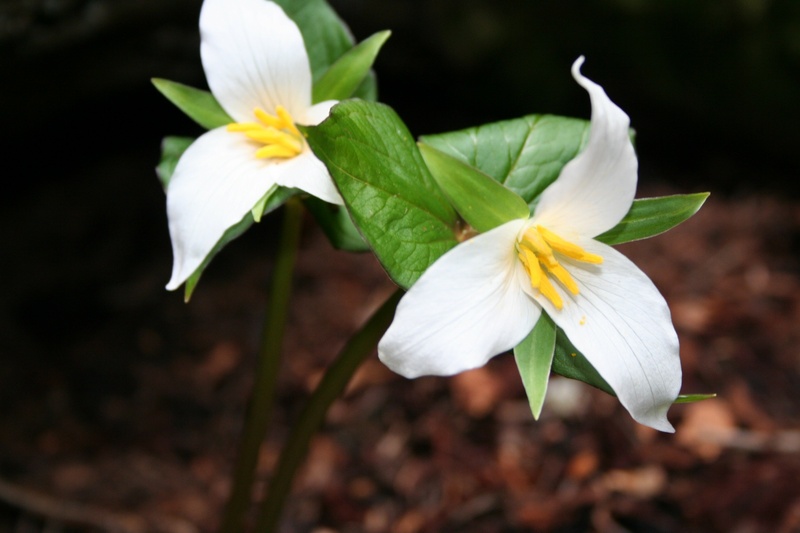 There were still a few fresh trilliums in bloom. 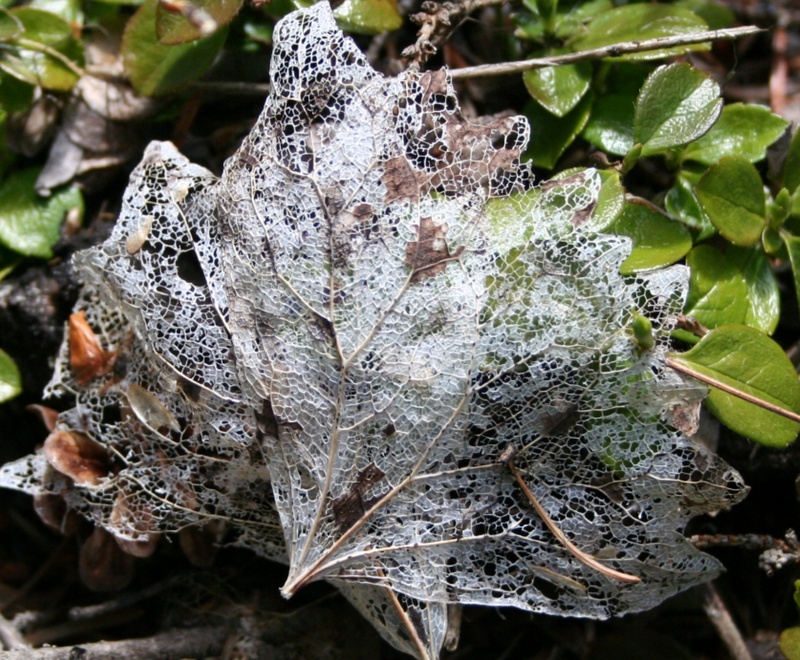 Last year’s maple leaf becomes a work of art. 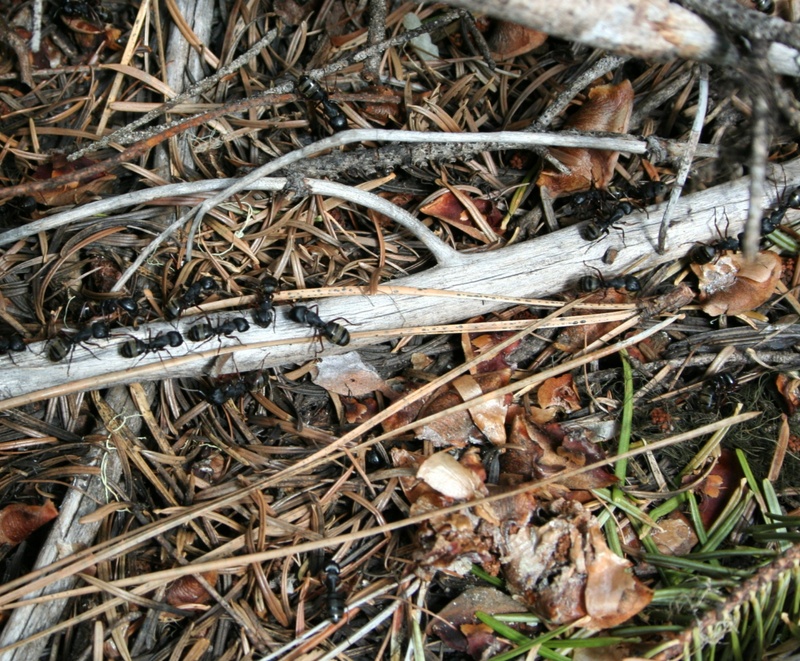 Carpenter ants were on the move. 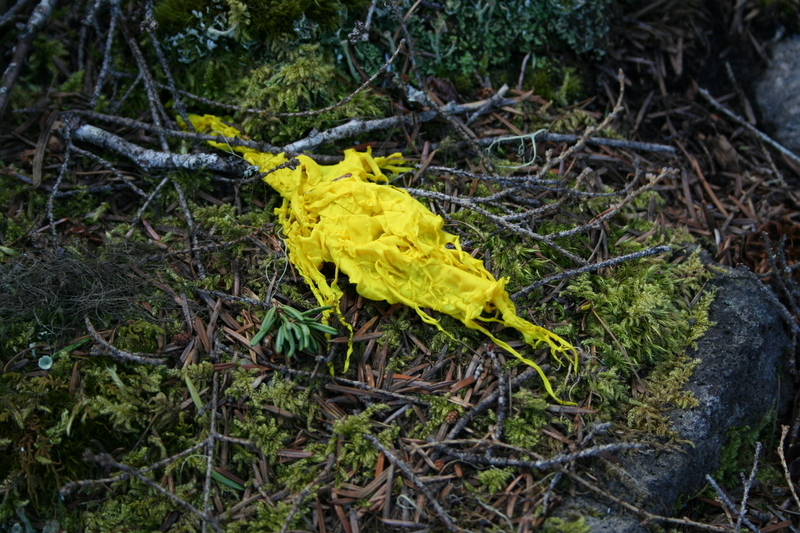 I’ve seen some bright orange fungi and jelly-like fungi, but nothing quite like this before. So – you tell me. What is it?? And to keep this interesting, I’m going to offer a prize to whoever figures it out. I’ll send you a copy of The Audobon Society Field Guide to North American Wildflowers (for whichever region you live in).